Please click on your class name below. 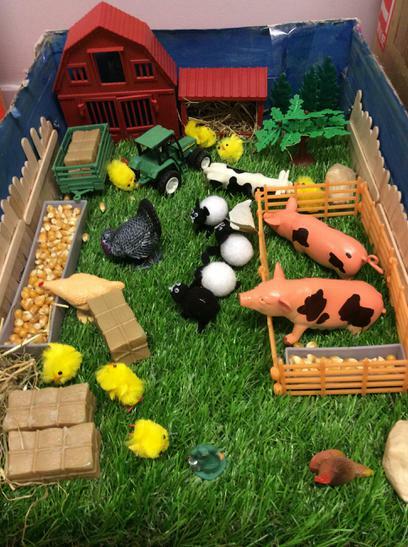 Our topic this term was ‘Old MacDonald had a farm’. We started the term with the story of ‘The Little Red Hen’ and created some fantastic diary entries as The Little Red Hen herself. We worked very hard on using first person, time connectives and descriptive language. 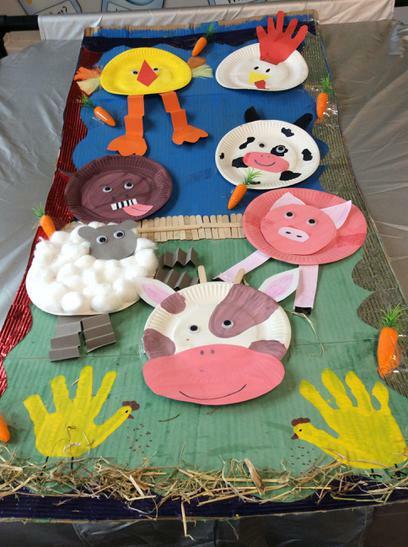 In Science, we learnt all about carnivores, herbivores and omnivores, before creating our own animal masks in art. In the later part of the term, we invited some visitors into our class…baby chicks! The children loved looking after them and watching them grow. Meanwhile, our focus book ‘Whatever Next’ took as all into space! We had a visit from ‘The Little Green Alien’ and wrote a postcard to our friends back on earth. In maths, we used many different strategies for multiplication and division, in order to help us to work out how many people could fit into our rocket. In DT we used our engineering skills to plan, design and create our very own rockets! 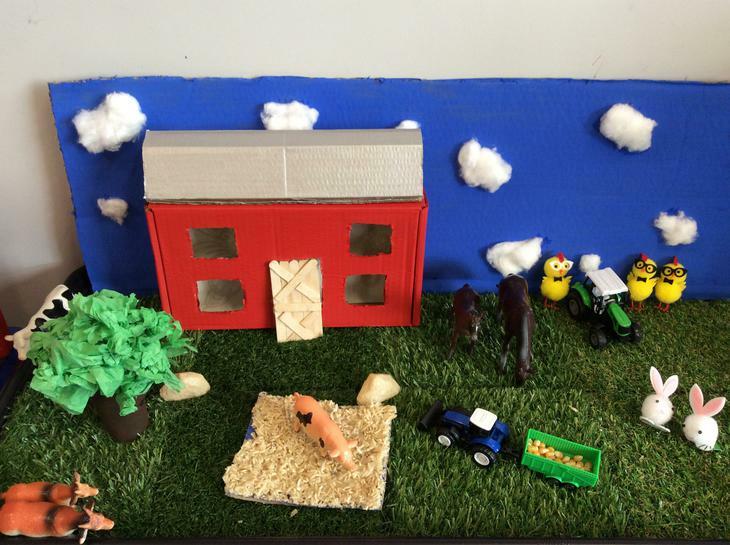 Our topic this term was ‘Old MacDonald Had a Farm’. We loved watching the chicks hatch and grow - it was an amazing experience that we’ll never forget! We monitored the chicks’ progress and recorded our findings in a class diary. 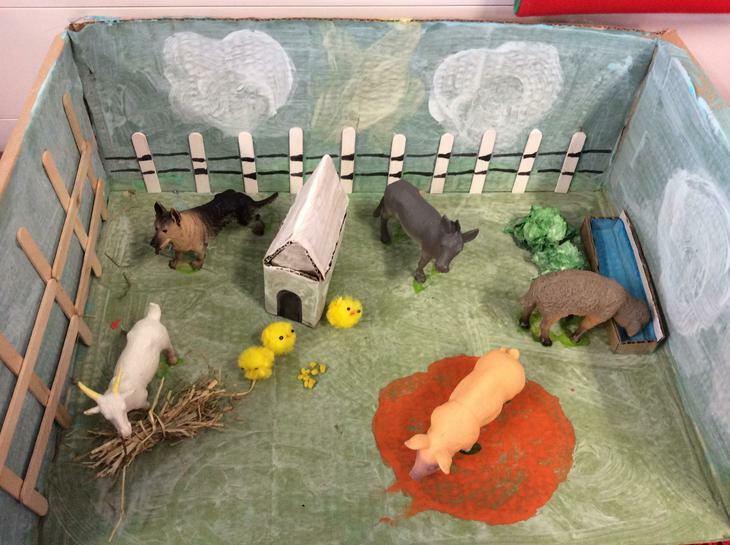 Take a look at some of our fabulous farms, created at home by our Year 1 pupils! The ‘Little Red Hen’ asked us to help her bake some bread. We learnt about how bread is made and where the ingredients come from. We created some recipe books for the ‘Little Red Hen’ and used the iPads to film a cookery show. After learning the story ‘Oskar Got the Blame’ by Tony Ross, we acted out freeze frames from the story and changed the characters to make the story our own. For World Book Day we dressed up as superheroes. After a mysterious meteorite landing in our school car park, we investigated different superheroes and their powers. We created some fact files and sent them off to NASA! Look at the 3D shapes we made using spaghetti and marshmallows! We could name the shapes and spot similar shapes in our school environment.